Bowen Cooling is a local leading service provider for A/C repairs in Fort Myers, and surrounding areas. We take this line of work seriously, as a local family-owned and operated company should. 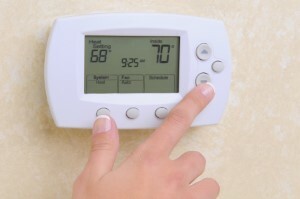 Since 2007, we have been providing the best in air conditioning services for local residential and commercial clients. Fort Myers locals can contact us for the best in air conditioning contractor work. Appreciate the difference it makes when you actually change the filter. This is supposed to be done once a month but often gets overlooked. Once a filter gets dirty it restricts airflow, eventually blocking it completely. Make it a point to schedule regular maintenance. This is a much more reasonable and cost-effective alternative to waiting for expensive emergency repair needs to present themselves. Speaking of repairs, when you know you need them do not put them on a to-do list. Make that call immediately. The longer that you wait to get seemingly small repairs handled, the more likely they are to turn into major repair needs. In fact, they could even evolve into replacement needs. If you reside in Fort Myers and need service for your AC, give our experts a call.